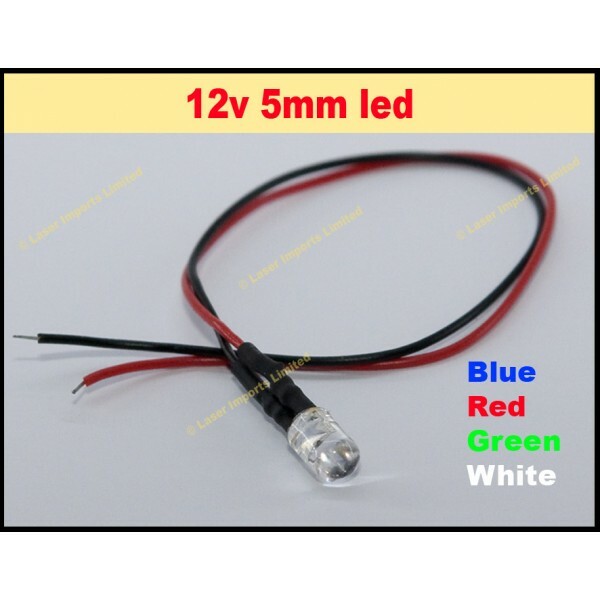 5mm led with a built in resistor so they will run directley off 12v. Simply solder or connect the red wire to positive and the black to negative. Great for use as PC case lighting or car lighting. Under dash or anywhere in your car where you want to add accent lighting.